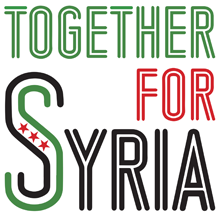 On March 2nd, Syria Solidarity UK and DESTIN, the student society of the Department of International Development at LSE, held a screening of Our Terrible Country, a documentary by Mohamad Ali Atassi and Ziad Homsi. There followed a discussion with Haid Haid from Planet Syria, chaired by Leena Zahra. This screening was part of the Syria Untold series of events organised with Destin. Our Terrible Country tells the story of a road trip in 2013 from Douma to Raqqa, in Syria, and from there to Istanbul in Turkey. The travellers are Yassin al-Haj Saleh, leftist writer, and Ziad Homsi, a young revolutionary photographer whom Mr Saleh met when he came to join his wife, Samira Khalil, a human rights activist in liberated Douma. The film opens in the bomb devastated streets of Douma where Samira Khalil is challenged for not having her hair covered. Immediately we are aware that this is not going to be a hymn to the revolution (or to Mr Saleh himself) but a wry and thoughtful reflection on its contradictions. As a road movie, it is decidedly downbeat—heat, sand, and checkpoints by a variety of militias making what would have been a simple one day journey before 2011 into a nineteen day odyssey. When they arrive in Raqqa to join Mr Saleh’s family, they find that his brother has been abducted by ISIS who are now in full control of the town. Mr Saleh spends his few months there in hiding. The tone of the film changes at this point, as Ziad emerges from behind the camera to become a movie character himself, and there develops a strong and affectionate bond between the older intellectual (who, unlike many of his contemporaries, fiercely supports the revolution) and the younger activist and sometime fighter. Ziad obviously esteems the older man highly—he calls him the “doctor of the revolution,” and in turn Saleh trusts and admires him as representative of the younger activists who are risking everything including their lives. They reflect sombrely on whether it is worth dying, or killing, for an “idea,” and whether “the Monster” (as Saleh calls ISIS) is a product of their revolution. Saleh says it’s the revolution’s cancer. As the scene changes from Raqqa to exile in Istanbul, Mr Saleh is shown not as a man of towering intellect, but as increasingly frail, fretting about the isolation of intellectuals from the revolution, and worrying constantly about his wife, stuck in Douma which is by now under siege. His worries are with good reason: while the film was nearing completion Samira was abducted, along with 3 friends, and has not been heard of since. The Army of Islam, then led by Zahran Alloush, are widely held to be responsible. So there are few consolations in this unsparing film, except for the sense of fond comradeship and the continuing good humoured resilience of the characters. And of course from our knowledge of the aftermath: despite the traumatic events in which both have been involved, they have continued in exile, along with countless thousands of other Syrians, to support the revolution in defiance of Assad and of ISIS. Haid Haid of Planet Syria gave a short account of the civil society organisations that sprang up in Syria after 2011, of their efforts to create a free society where collective decisions are made and conditions for ordinary people improve. They continue this work despite the difficulties of constant bombardment and of the fragmentation of the country. He explained that, as the film showed, these activists have been targeted by both the regime and by ISIS and other Islamists, and many are dead or in exile. They continue their work in exile, remaining in close touch with organisations inside Syria, despite the difficulties caused by tighter border controls and by ‘anti terror’ controls by international banks, which prevent transfers of funds to Syria. He found hope, however, in the recent upsurge of activism, in the increasingly visible demonstrations in Syria since the partial ceasefire, and he believed that if the ceasefire holds, it will allow civil society to revive and the exiles to return. What caused the rise of ISIS? Assad was sponsoring Islamists before the revolution. He allowed them to travel to Iraq to fight the US. Then he imprisoned them when they returned, but released them after the revolution while imprisoning peaceful activists. Thus Al Nusra and then ISIS were born. We see them as the other face of the regime. Why has the world abandoned Syria? Everyone was waiting for the US to take action, but it became too late because the US and others did not want the regime to fall without knowing what would take its place. So the West has moved gradually over to the Russian view: protect the regime for fear of ISIS. The legal conditions to provide humanitarian protection have existed for a long time in Syria, but the political will has been lacking. What is left of the revolution, and is it still worth fighting for? Many of us have asked ourselves this question from time to time, but we don't have any option but to continue. We have to work on a small scale and survive until the situation improves, to support the people inside who are still willing to fight for their freedom. They are not ready to quit in Syria; those who are still there inspire me. When you travel in Syria you get a different impression from outside. People are still running their own affairs and controlling their areas, electing democratic councils. We need to be careful not to see only the sad side of the story. Activists are working on more than just survival and obtaining food—though this is a huge priority in some areas—they are still trying to make a difference, and to create a new society. What do you think of the refugee situation, in neighbouring countries and in Europe? There is no legal framework that acknowledges the existence of Syrian refugees in the neighbouring countries. Therefore, they are considered guests with no clear refuges rights. Syrians in the neighbouring countries are suffering on all levels and that’s why they risk their lives to move to a place where they can access their basic rights. The situation of Syrian refugees is a bit better in Europe but they still face many challenges there as well. Europe is approaching the refugee crises wrongly by focusing on how to keep Syrians out of Europe rather than how to enhance their situation in the neighbouring countries so they don’t have to come to Europe. Can you say more about the local councils in the liberated areas? Despite constant bombardment and in some cases prolonged sieges, they deliver the essentials of life—water and bread—and they coordinate resources as well as they can. Some are democratically elected, other are appointed by the armed groups. They are funded in various ways, by opposition groups, or by private individuals and charities. But transferring funds, as I said, is becoming more difficult. It’s difficult to be able to talk about the local councils in general as the situation is different from one area to another. However, the local councils are a great improvement on the Assad regime. People are participating in choosing them, at least in most of the areas, and they are able to criticise them publicly when they fail to do their job. 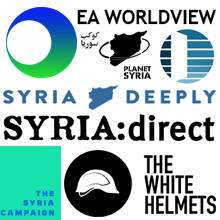 Are you hopeful about the current ceasefire? The positive aspects of the ceasefire are that the US and Russia agreed on it and made it happen, and that there is also for the first time a working force to monitor and deal with violations. But Russian airstrikes are not included. Russia says they are targeting ISIS and Al Nusra, but they are actually targeting opposition forces who are fighting ISIS as well as the regime. This is merely an excuse to continue to crush civilians in opposition areas and drive them out. The agreement considers Russia to be neutral but it is not—it support the regime. The Assad regime promised to allow humanitarian access, but it is not keeping its promises. No-one is stopping the violations of the ceasefire, and besieged areas are still not getting food, so it is not being implemented properly so far. Do you feel guilty for starting the revolution? Was it our fault that the peaceful revolution was met with violence, and grew out of all proportion when outside forces became involved? No we should blame the perpetrator of violence: the regime, which made violent resistance inevitable. Victims often tend to blame themselves, it’s part of a survivor guilt. The regime violence was deliberately provocative: it tortured the children of Daraa and handed back the mutilated bodies; it pursued a policy of collective punishment to inflame whole cities. Assad wanted the revolution to become militarised because it’s easier to deal with an armed conflict than a peaceful one. Starting the Syrian revolution was the right thing to do and the Assad regime is the one to be blamed for what Syria and Syrians are going through. It’s a coalition of 114 civil society activists inside Syria. It’s called Planet Syria because they feel like they are on a different planet and no-one outside is listening to them. When we conducted a survey of their priorities for international action, these emerged as firstly, stop the aerial bombardment and protect civilians, and secondly, establish a real political process for peace. The demands are clear, but sadly the political will from the international community is still missing. Why should we celebrate the Syrian Revolution?